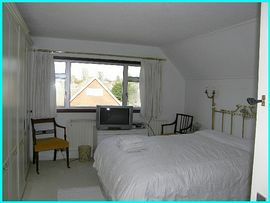 Good value and a warm welcome awaits you as I invite you to join me in the comfort of a friendly Bed and Breakfast. 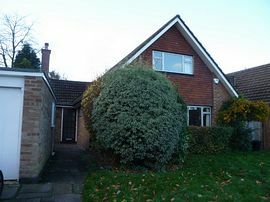 We combine a convenient location with a contemporary house that is close to amenities, but situated in a quiet suburban road on the outskirts of Orpington. Two bedrooms (one 5 ft double and one 4ft 6in double plus single bed) and a bathroom with shower, are located on the first floor. This is particularly ideal for families or groups of friends. 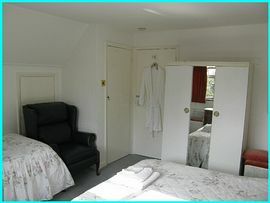 A single bedroom and shower-room are on the ground floor. This room is available for a disabled guest - the shower has good accessibility and handrails but does not have level access. All rooms have digital TV, radio, tea & coffee making facilities and complimentary refreshments, plus hairdryers and bathrobes. 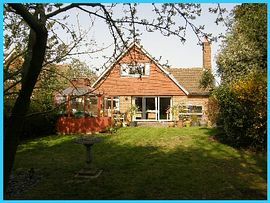 Guests have use of the lounge area with 1/4 size snooker table, dining room, garden and patio. 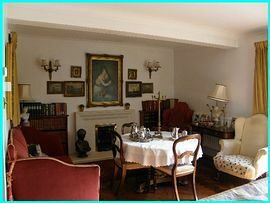 Free internet WIFI access and a large collection of books and classical cd's are available for visitors to use. The position of the house, close to Orpington Railway Station, with fast and easy links to London and easy access to the M25 makes it ideal for those wishing to enjoy a break in London itself, or to tour the Kent/Sussex countryside and coast. Those coming to work in the area on short-term contracts will also be welcome. Reduced rates for longer stays - please call to discuss requirements. Smoking Facilities: Smoking is allowed. Smoking outside only, not in house.